Cupcakes are the perfect treats for both kid and adult parties; they're easy to transport and easy to eat. Most cupcake recipes call for butter and eggs, but these are a few vegan cupcake recipes that have become my favorites over the years. 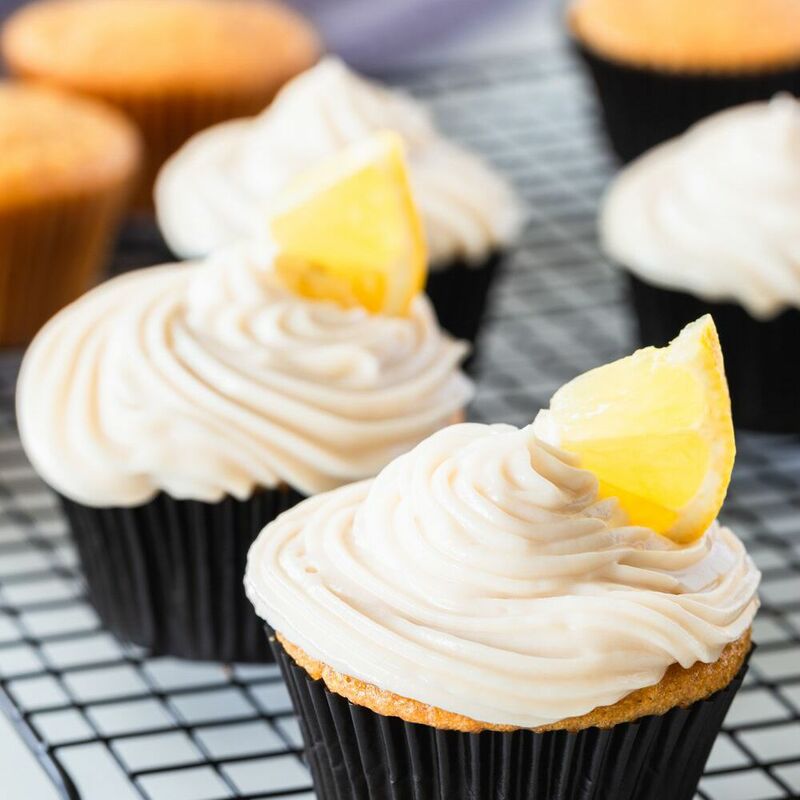 Infused with flavors of extra-virgin olive oil and lemon, these cupcakes are some of my favorite easy vegan sweets for any time of the year. Topped with Vegan Lemon Buttercream Frosting, these treats are bright, sweet and fun. The combination of maple syrup, coconut milk, and cocoa in these little cakes is absolutely divine. And convenient--I almost always have all of the ingredients in my pantry. Just about any frosting is delicious on these cakes, but this Peanut Butter Frosting, in particular, is a favorite in my family. With flavors of vanilla and hazelnut, these cupcakes are handheld celebrations of flavor. Top with Vegan Chocolate Hazelnut Frosting for an extra french vanilla touch. Who can say no to a vegan carrot cupcake? I mean, there are vegetables in it! These cupcakes are rich, decadent delights for the vegan chocolate-lover or anyone with a sweet tooth. Fluffy, sweet, and loaded with banana flavor, these cupcakes are perfect for parties or everyday treats. I've made these with several different frostings over the years, from vegan chocolate frosting to vegan coconut frosting to vegan peanut butter frosting, so while your cupcakes are cooling, browse through these Dairy-Free Frostings and find the one that will suit your taste and occasion best. To make the cupcakes in the photo, I used this Vegan Coconut Frosting.